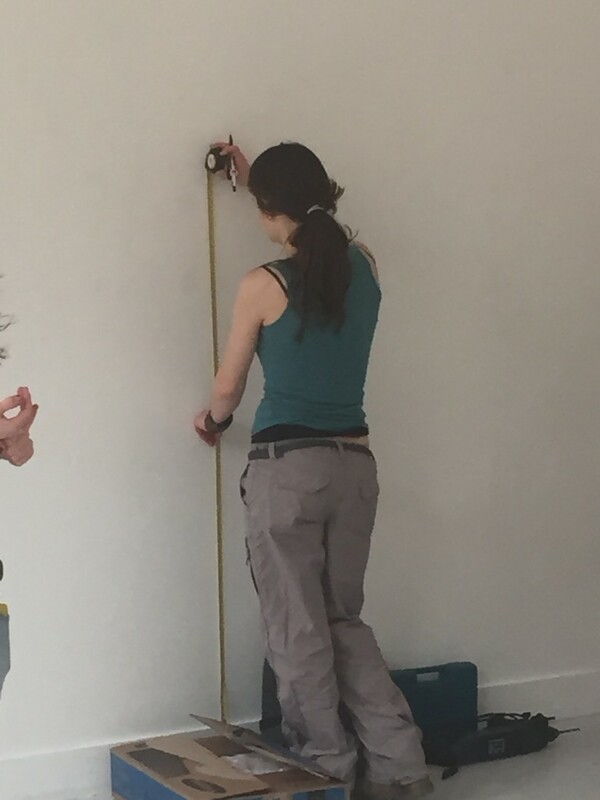 The artists begin installation of ‘Housed’ exhibition in the Cookhouse, Chelsea College of Arts on 2 April 2015, in anticipation of the gallery opening 11:00AM the following Tuesday on 7 April 2015. 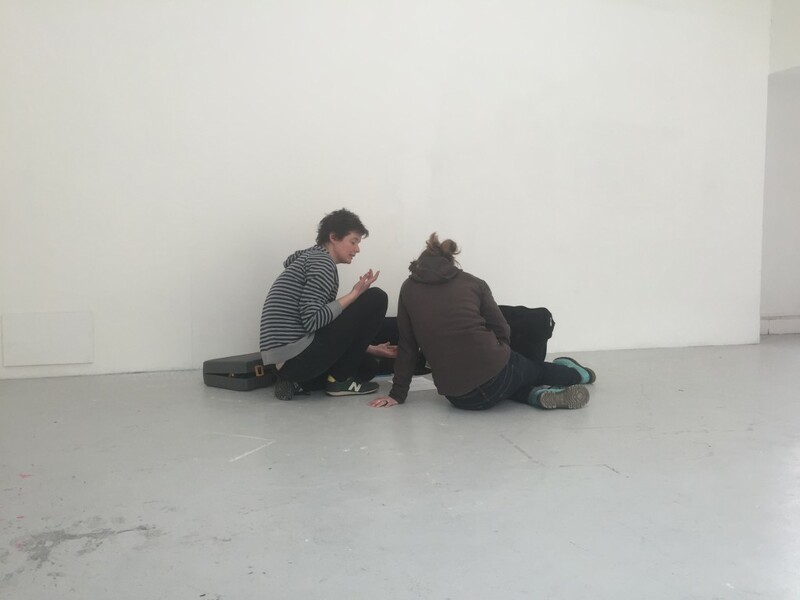 Installation begins 02 April 2015, ‘Housed’, Cookhouse, Chelsea College of Arts, London. Photo credit TD Deuel. No exhibition is without its challenges, many of which only crop up before installation of the show even begins. Well, due to Easter bank holidays on both the Friday and Monday, we knew going into Thursday that we’d only have from 10:00 am to 8:00 pm to install our show and some pieces were particularly involved. No worries when, as they say, “many hands make light work”. Then in true comedic fashion, we were given the heads up at 11:15 that the college will on lock-down from noon for security reasons… shortening our install day from around 9 hours to 45 minutes. 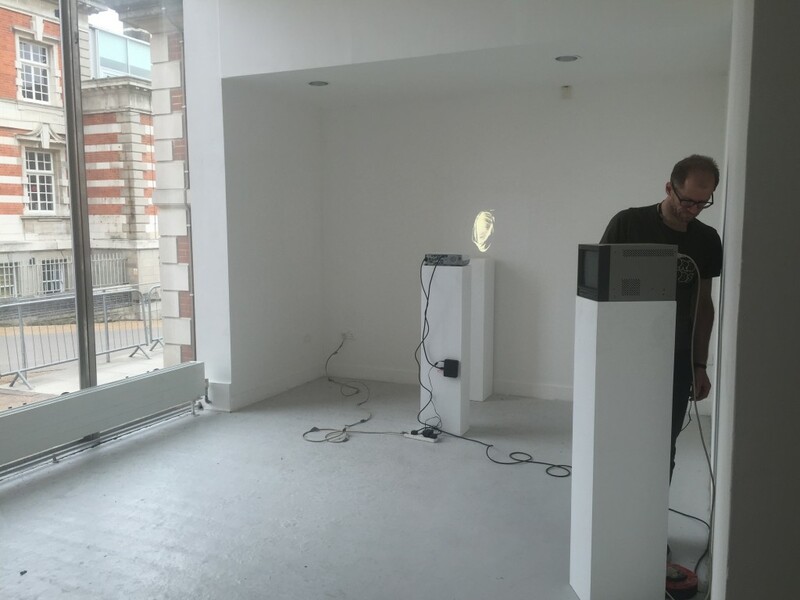 Installation begins 02 April 2015, ‘Housed’, Cookhouse, Chelsea College of Arts, London. Photo credit Kelise Franclemont. Good thing there are 10 of us here, plus Kelise’s brother TD, to do the heavy lifting. We scrambled to get everyone’s work from cars and delivery vans, and locked ourselves in for the day. By 5:30 pm, the Cookhouse was still a hive of activity. By 8:00 pm, there was more work to be done to complete installation before 11:00 am opening on Tuesday.